Nashville is a city you cannot help but immediately fall in love with. From the amazing country music scene to the plethora of delectable restaurants offering local cuisine (did someone mention “hot chicken”? ), “Music City” is a thriving metropolis that continues to grow and offer incredible opportunities for locals and visitors alike. 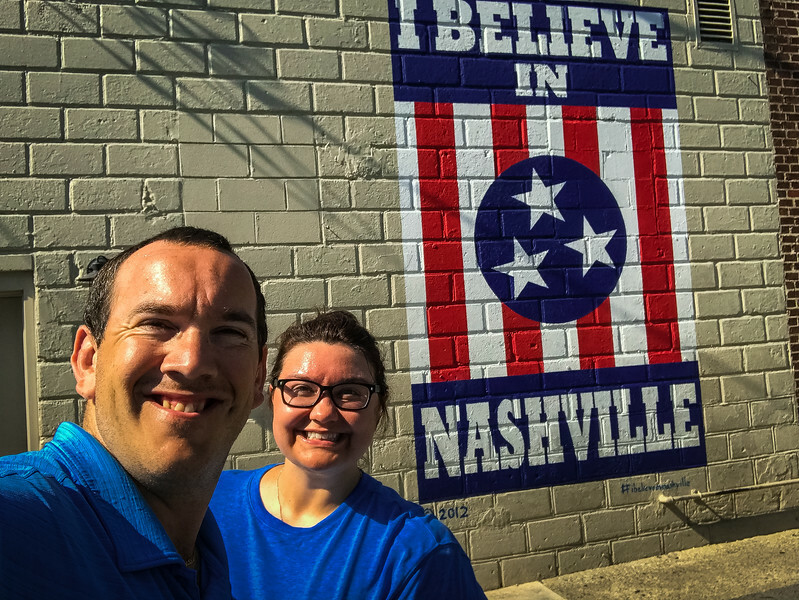 During our recent trip, we decided to head away from the mainstream attractions, and explore some of the best neighborhoods in Nashville that normally don’t hit the major tourist spot headlines. But don’t let that concept of “off the beaten path” fool you…these neighborhoods are (and have been!) developing at a rapid rate and as soon as you visit the first time, you will quickly realize why they play such an integral role in the overall make-up of this city. 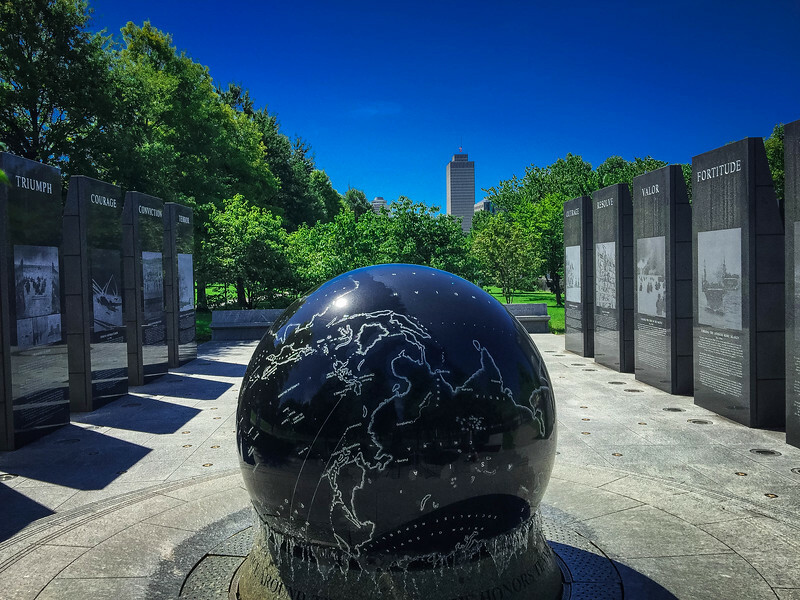 Whether you are visiting Nashville for a long weekend getaway or perhaps contemplating moving here on a permanent basis, there is so much more to this city than you initially imagine. Long gone are the days where Nashville is all about the Grand Ole Opry, Tootsie’s Bar on Broadway or even the Parthenon. Don’t get me wrong, these are all still awesome attractions that everyone visiting Nashville should have on their radar but it’s these lesser-known communities that deserve as much coverage, yet frequently are left in the shadow of these more infamous landmarks. 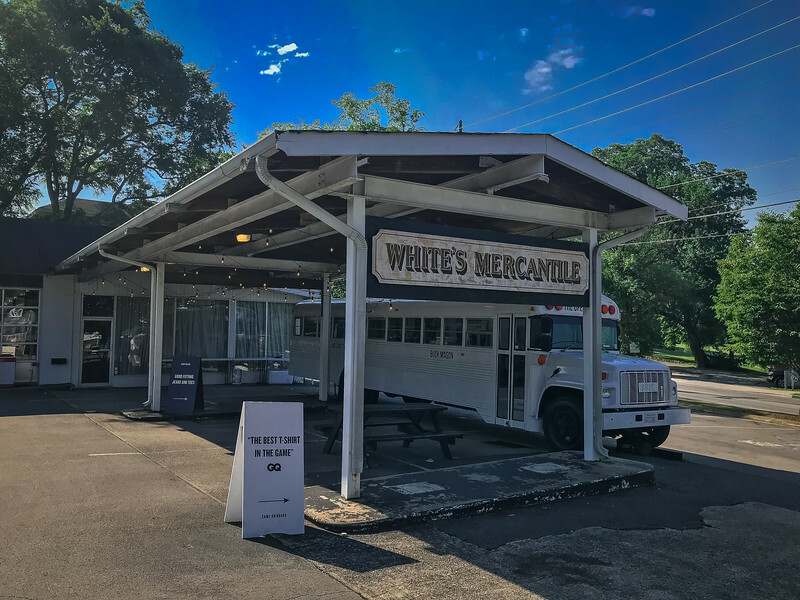 We want to share our experiences exploring the hidden side of Nashville and hopefully, after reading this post, you will be inspired to visit some of these areas that truly epitomize the heart and soul of this amazing metropolis. 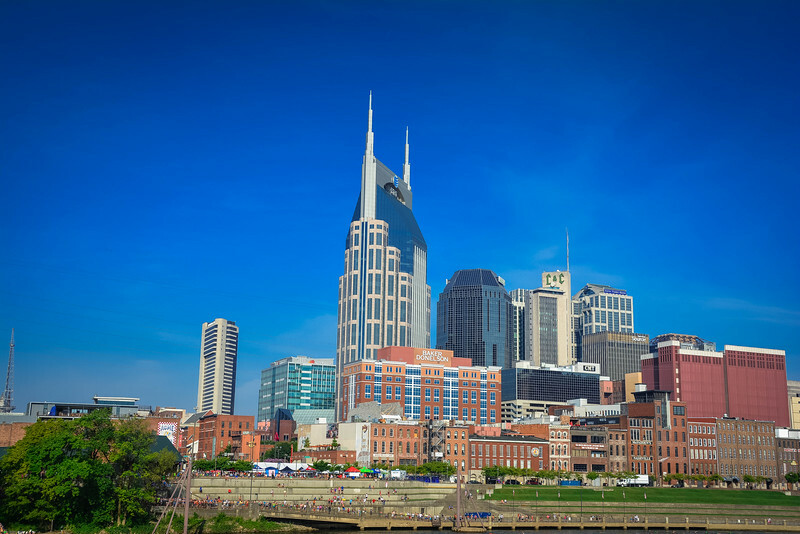 Nashville is a thriving city that continues to expand at a rapid rate. 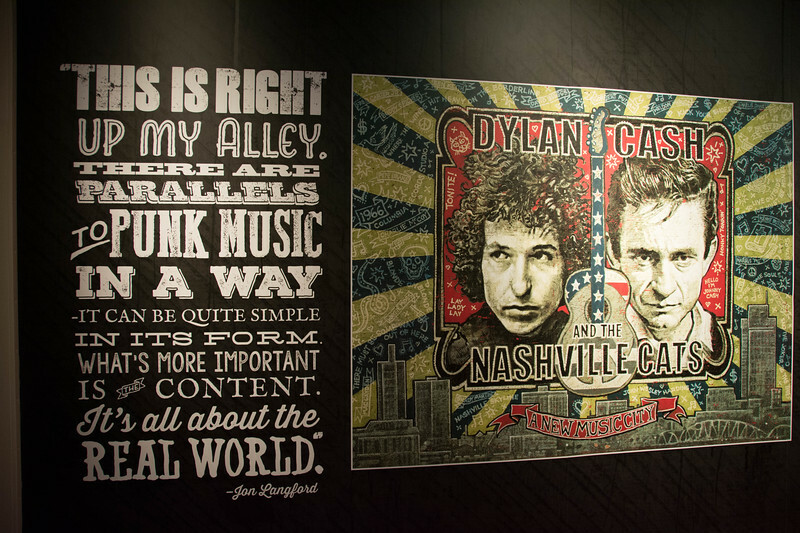 We have been visiting Music City for several years and the change has been incredible. Hotel rates throughout the city have soared and anyone considering a trip to Nashville should be prepared to pay a premium for this part of the US but without doubt, it’s worth it. One of the best aspects of Nashville is that many of the neighborhoods we are going to highlight are relatively close together. 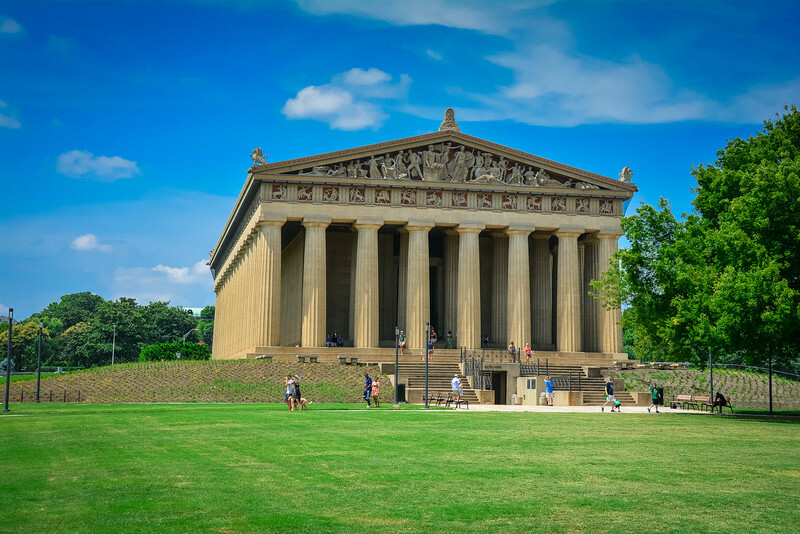 Whether you are flying into BNA (Nashville International Airport) and then using Uber or renting a car, or perhaps road tripping as we do, this city is relatively easy to navigate and you can explore a lot in a short timeframe. The urban sprawl throughout Nashville is such that nearby towns such as Franklin and Brentwood almost feel like they are part of the greater Nashville area. However, we are focusing our attention on those neighborhoods “officially” part of Music City including the following. With communities and neighborhoods developing all the time, this is certainly not an exhaustive list of areas worth exploring across Nashville. 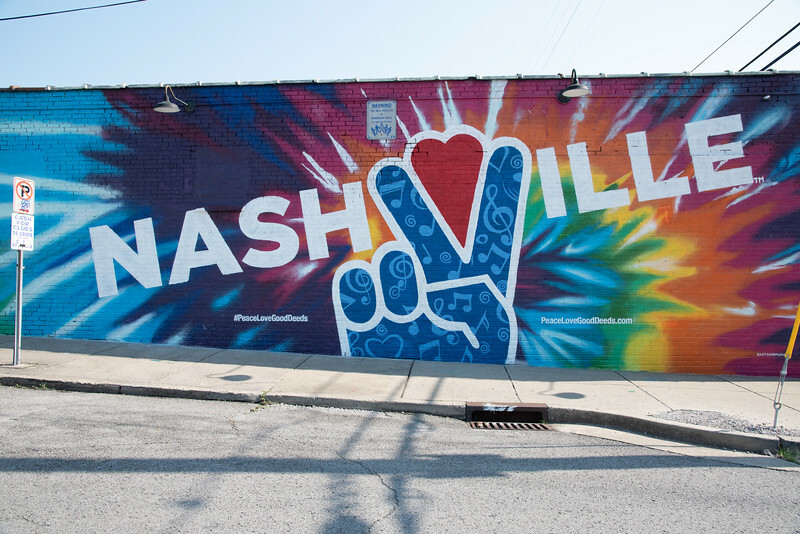 However, it does offer an eclectic blend of everything to love about Nashville and as always, we encourage you to share your favorite neighborhoods with us in the comments below so that we can check it out during our next trip there. Why not start your adventure around Nashville’s collection of neighborhoods than one of the undisputed heartbeats of the city – Hillsboro Village? Situated in close proximity to both Belmont and Vanderbilt Universities, it’s no surprise that this is a bustling community full of college students, locals and visitors intrigued by the endless possibilities here. 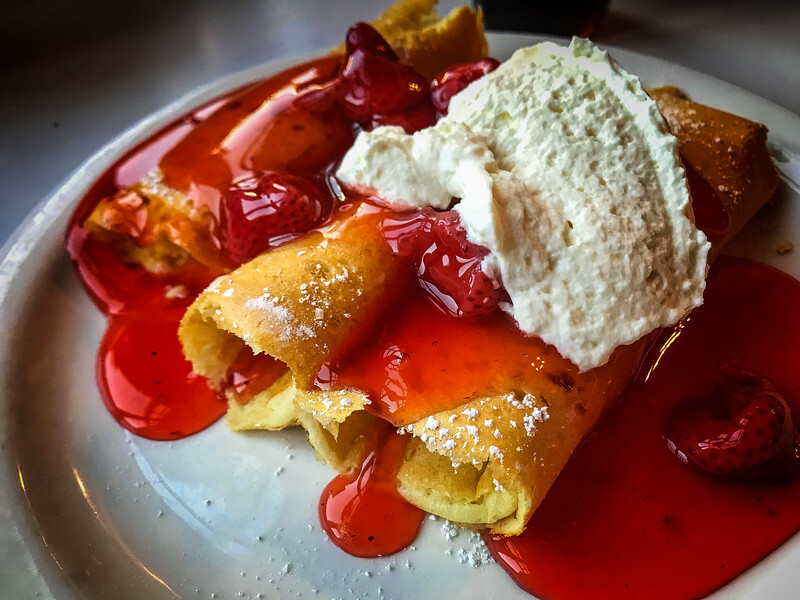 The incredibly popular Pancake Pantry is the highlight attraction in Hillsboro Village and should you visit this neighborhood any time after 8:00 AM, you will quickly understand why. 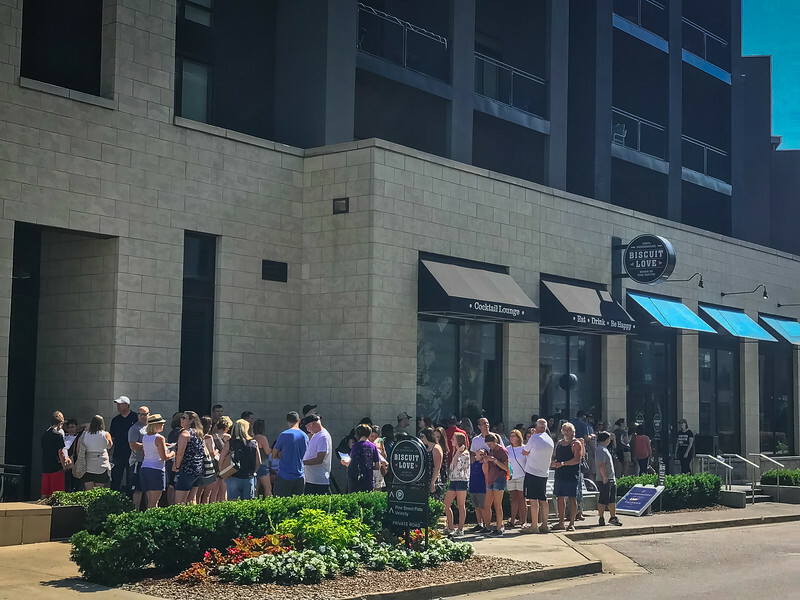 Take one look at the line that wraps around the building each morning and you’ll get an idea of how integral the Pancake Pantry is to the culture of Nashville. 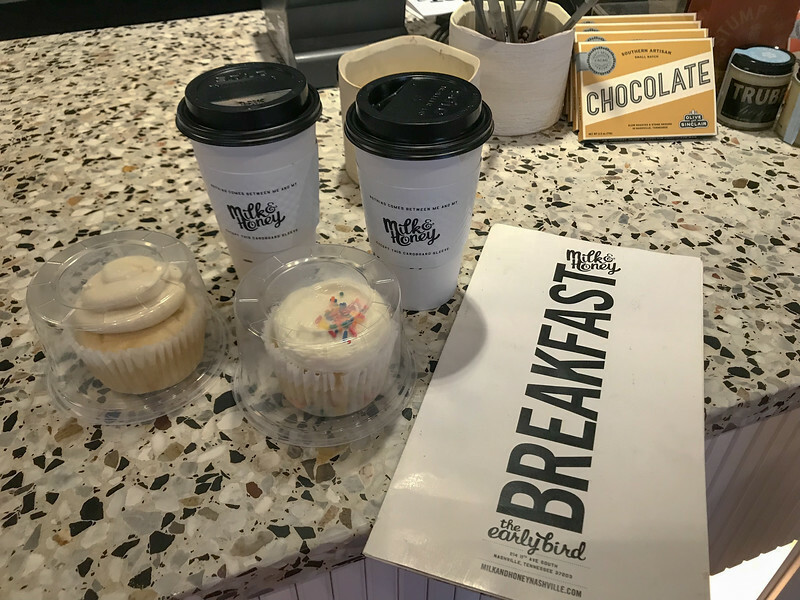 Renowned as one of the best breakfast spots throughout Nashville, be sure to arrive early in order to avoid queuing around the building. But regardless of the time you arrive, this is a place well worth the wait. We arrived bright and early to enjoy the eclectic variety of pancake options, though the really tough decision is choosing which pancakes to try. 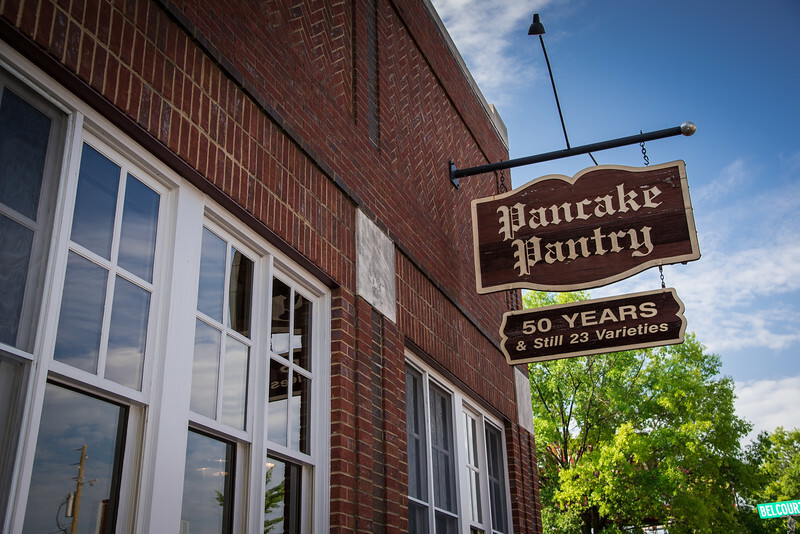 Since 1961, the Pancake Pantry has been a Nashville tradition for locals and visitors alike. If pancakes are not really your thing, don’t worry because you will quickly be convinced otherwise. If you are just looking for an alternative option, the Pancake Pantry offers waffles, eggs, french toast, hash browns and much more! Hillsboro Village is more than just the Pancake Pantry and after dining here early, we strongly encourage you to take a stroll around the neighborhood admiring the variety of local restaurants, boutique shops and of course, a vibrant display of street art that captures the imagination advertising the local community – Welcome to Hillsboro Village! 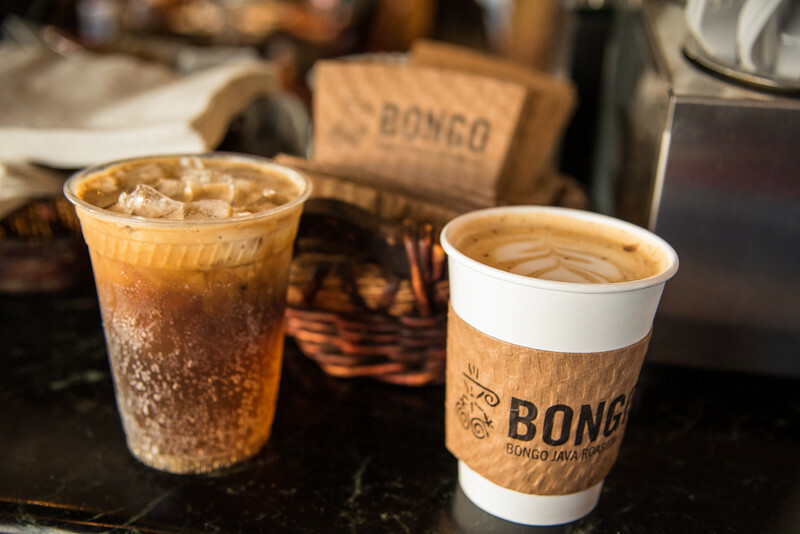 For those of you that need a little “pick me up”, hop inside Fido, a converted pet shop that is now an urban coffee shop and part of the Bongo Java Roasting Company that is popular throughout Nashville. The signature local latte is a great option while Heather opted for a little Harry Potteresque flavor with a Butter Beer! 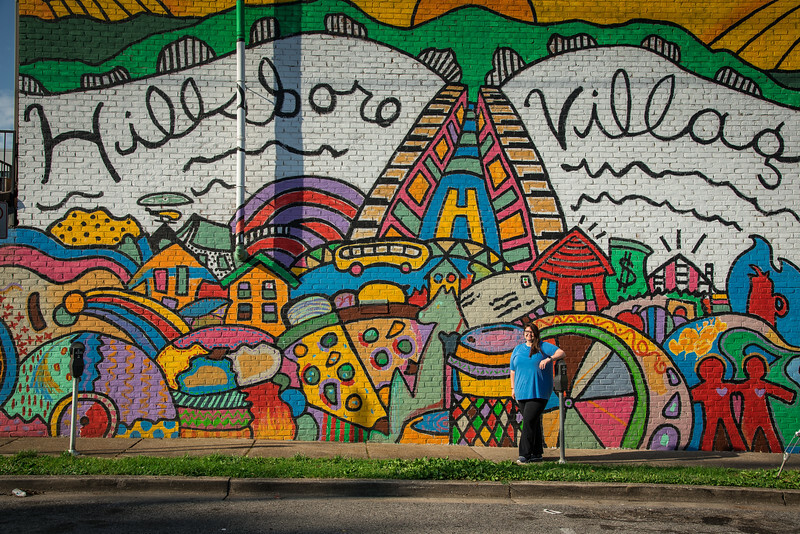 After exploring the Hillsboro Village neighborhood, we were excited about continuing our journey around Nashville to find more hidden gems. It didn’t take long for us to stumble across yet another dynamic and lively community that has undergone much regeneration in recent years – the Gulch. The beauty of many of the neighborhoods we explored during our recent visit is that they are all relatively close to each other, yet each of them offers a unique perspective on Nashville living. The Gulch epitomizes this through the collection of chic, boutique style hotels, luxury fashion stores and a variety of local restaurants that could easily be recognized as some of the finest in the city. 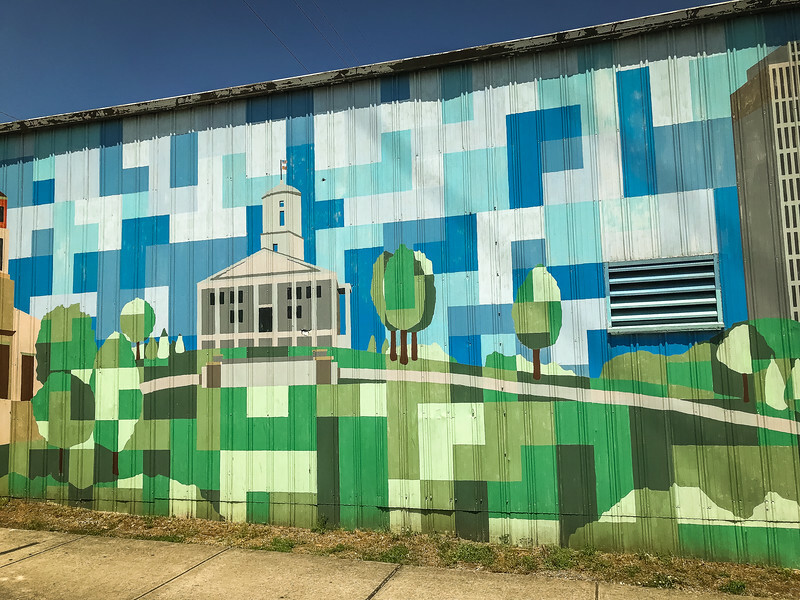 Historically known as an industrial area that has quickly been transformed into one of Nashville’s coolest neighborhoods, this is yet another example of an area that can easily be explored on foot. 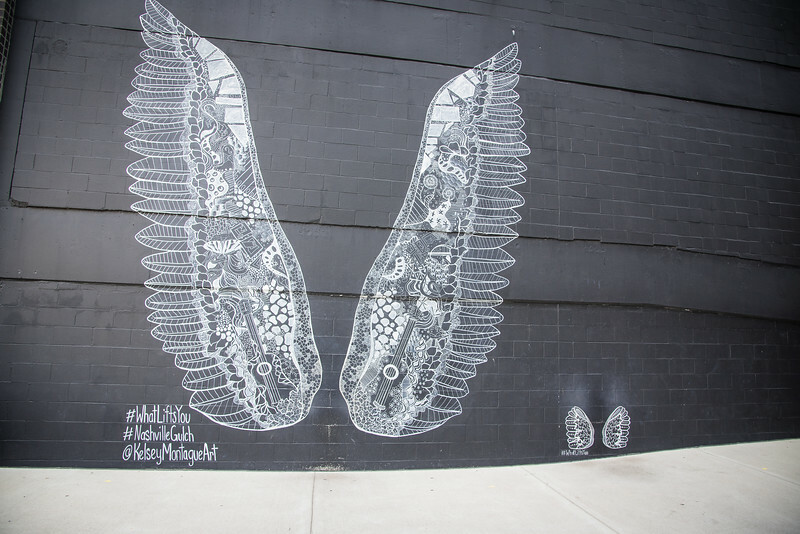 Visitors experience this part of Nashville to enjoy the iconic “What Lifts You” wings mural and capture the perfect selfie but I was particularly impressed with the contemporary architectural design of the area combined with the rustic, industrial feel that is still present. 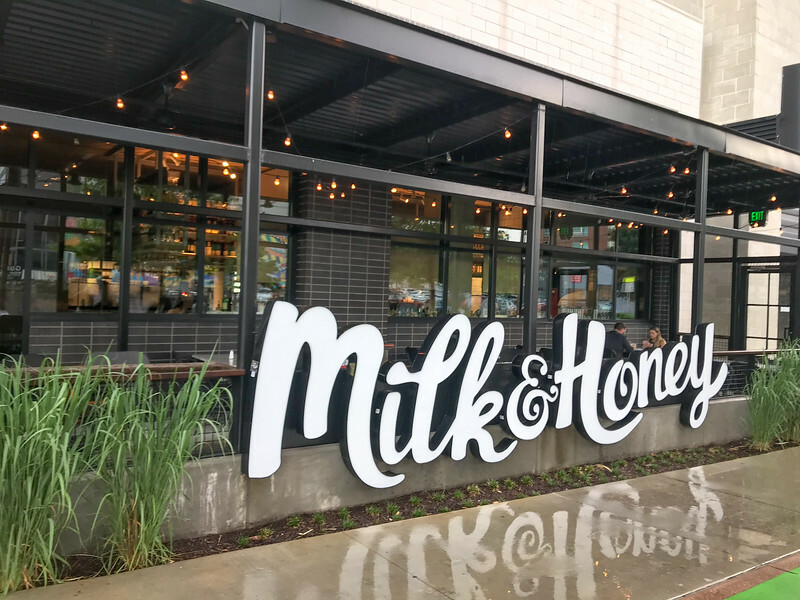 Some of our favorite spots in the Gulch neighborhood include Milk and Honey, a trendy coffee shop not only perfect to grab your favorite espresso but also to enjoy lunch or even an afternoon treat courtesy of the delectable gelato bar. For those of you looking for a little more substance, Biscuit Love is another popular spot that will challenge Pancake Pantry for the title of best breakfast location in Nashville. Visiting the Gulch in the evening? Head to The Pub Nashville to enjoy live entertainment, a typical pub style menu and a variety of draught beers available. 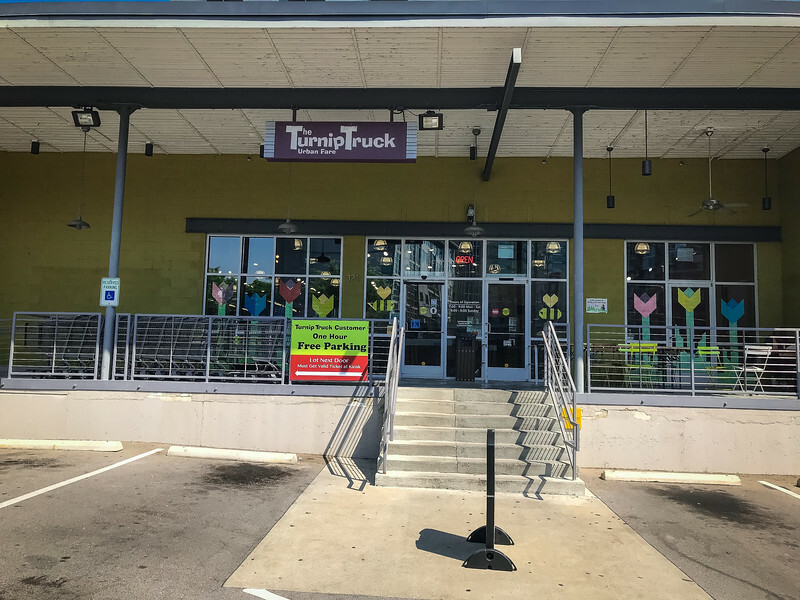 If you prefer to prepare your own food, head over to the Turnip Truck and find a wide selection of fresh, local produce. 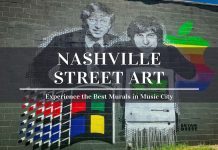 If you read our recent post on the best Nashville murals for artistic street art, you will know that the 12South neighborhood is one of the most popular areas for creative and aspiring artists to showcase their work. 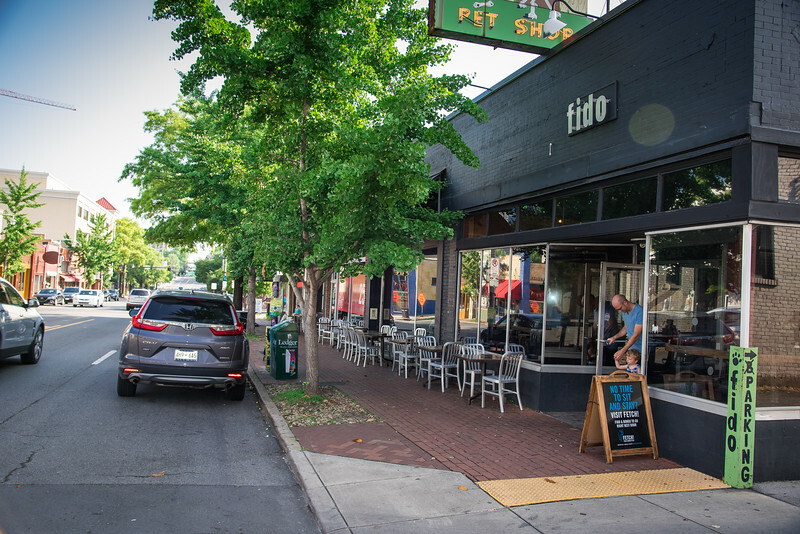 Combine this with a plethora of restaurants that ensures an exciting culinary scene, 12South is yet another of Nashville’s “hottest neighborhoods”. Nashville’s local tourism board promotes 12South as the ideal “one-stop” destination and what isn’t there to love about a neighborhood like this. What could be better than visiting an area with the knowledge that everything you need to enjoy a relaxing afternoon or evening can be found here? 12South is the true epitome of a neighborhood in Nashville that has developed in recent years. Soaring housing prices means that this is one of the hottest neighborhoods in town. 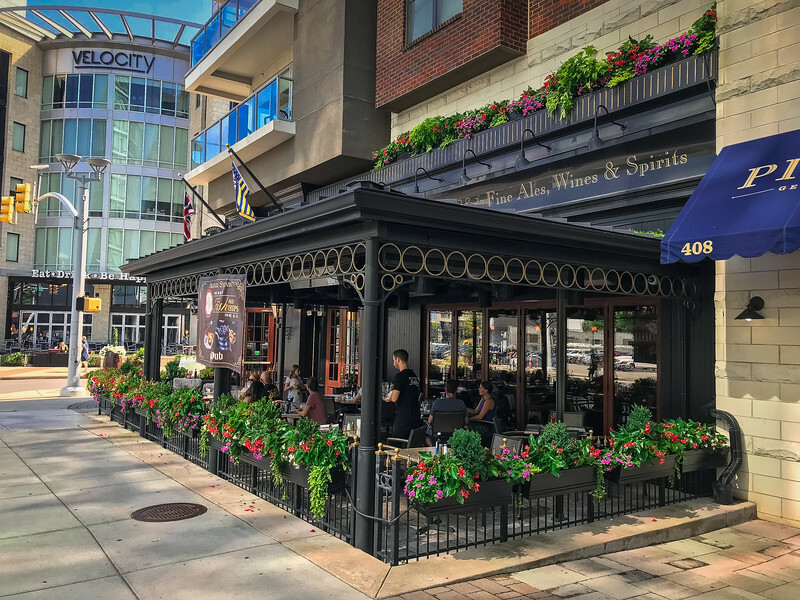 Historic and rather dilapidated residential areas have been replaced with trendy, hip-style apartments and homes, offering the perfect environment for the “urbanites” to locate here and enjoy the best of 12South’s thriving community. 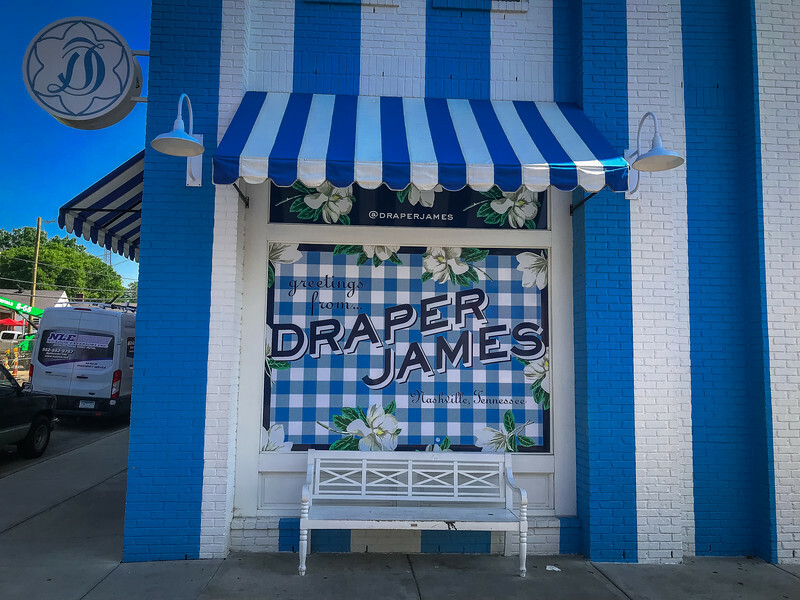 High-end retail stores such as Reese Witherspoon’s Draper James are a popular attraction for visitors looking to enjoy a little luxury retail therapy while in Nashville. 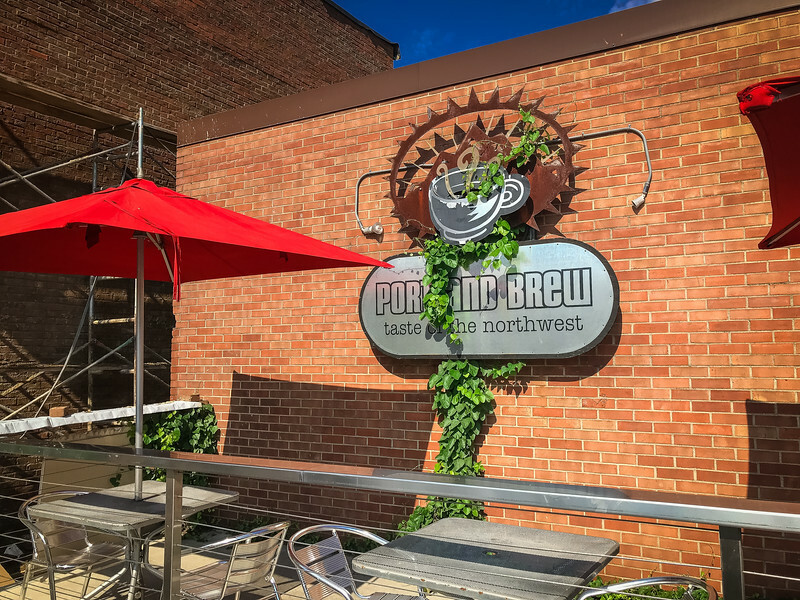 12 South Taproom and Grill is the perfect spot to enjoy a quick bite to eat or sample a local craft beer before enjoying a stroll through nearby Sevier Park. If Central and West Nashville doesn’t satisfy your appetite of exploring Music City’s best neighborhoods, why not head across the Cumberland River to explore East Nashville. 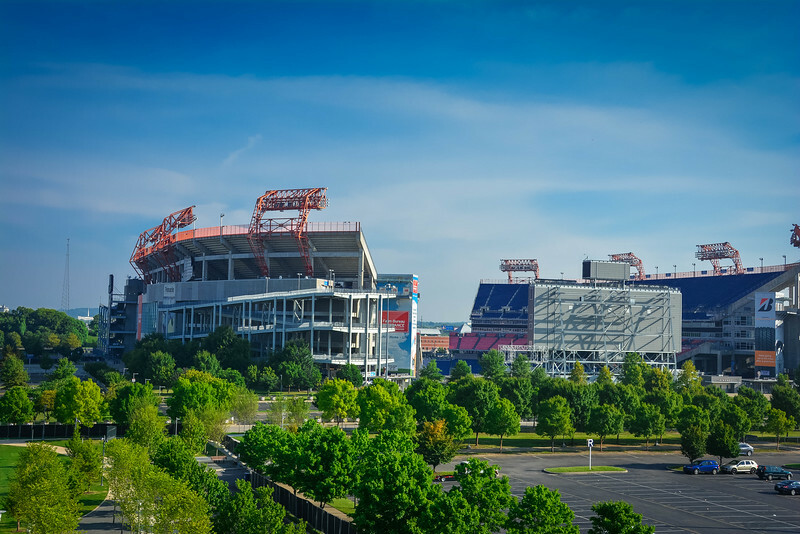 You will first notice the towering Nissan Stadium, home to the NFL team, the Tennessee Titans. Technically you are already in East Nashville once you arrive here though you may not know it, given that you are just a short distance from Broadway and all of the iconic glitzy and glamorous hotspots downtown. 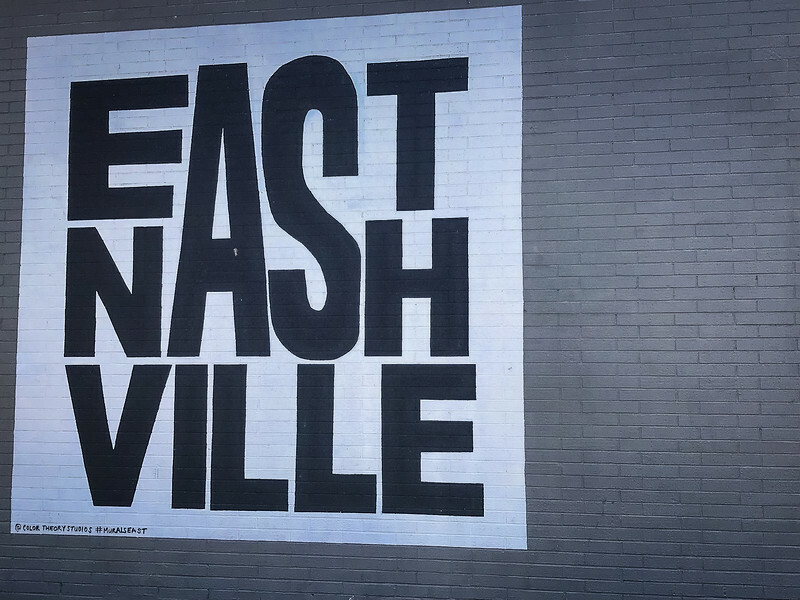 East Nashville is frequently compared to New York City’s East Village, primarily because it is a thriving community that is now one of the most desired areas to live and explore. For the artsy folks out there, East Nashville is definitely the place to be. 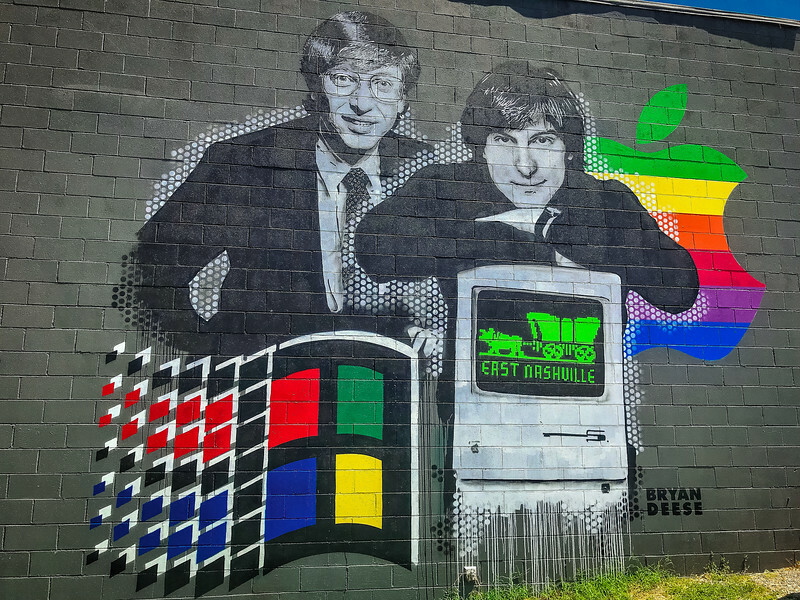 From a myriad of amazing street art murals (our favorite is definitely the Apple/Microsoft combination featuring Bill Gates and Steve Jobs) to a number of local art galleries, the east side of the Cumberland River is the unequivocal epicenter of arts and culture in Nashville. But art isn’t the only reason to visit this neighborhood. Head on over to the Shoppes on Fatherland to not only experience a little retail therapy or dine at some of the finest restaurants in the area, but also to interact with locals who have established these charming boutique establishments offering everything from local art to Nashville inspired food and drink. 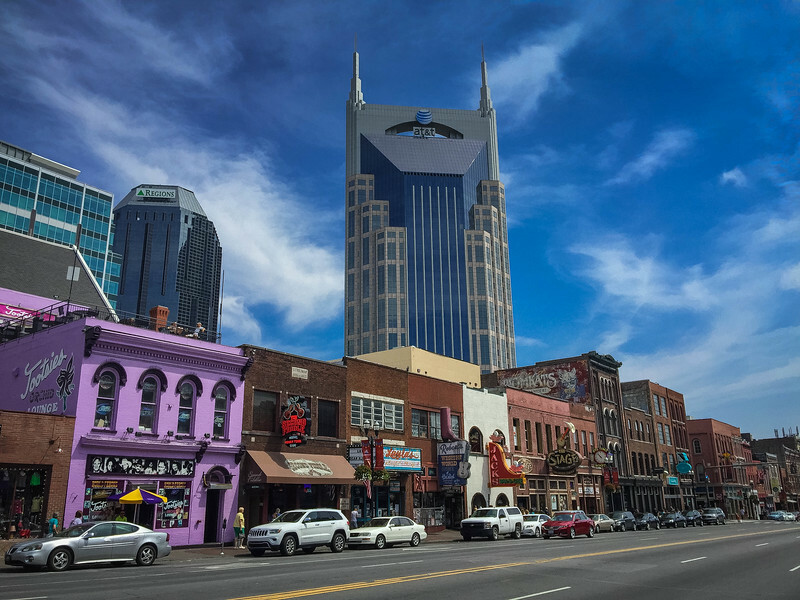 The most frequently visited neighborhood in Nashville is the heart of downtown along Broadway. Whether you are intrigued by the thought of popping inside a honky tonk bar or perhaps catching an NHL game with the Nashville Predators at the Bridgestone Arena, you can be sure that there will be something here to catch your attention. 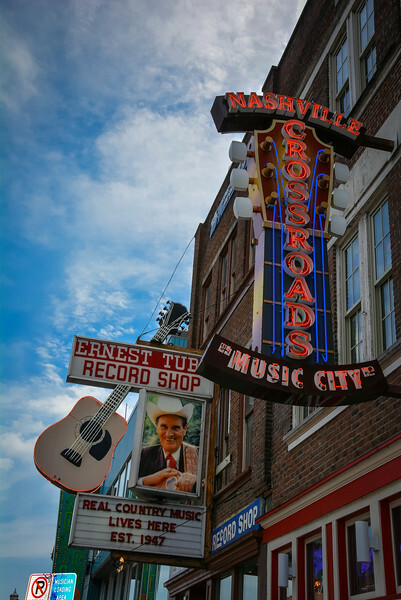 Without a doubt, the highlight attraction along Broadway is to hop inside one of the many bars to enjoy your favorite beverage while listening to Nashville aspiring musicians looking to catch a break before going all the way to the Grand Ole Opry stage. Don’t worry, you will be in for a real treat in most of these bars because many of Nashville’s iconic musicians started out here…you never quite know who you will see performing so be sure to keep your eyes and especially your ears peeled! Broadway is more than just country music just like the rest of Nashville. Architecture lovers will find this part of Nashville particularly intriguing with the infamous “Batman” building among many others that will spark your interest. When it comes to historic neighborhoods around Nashville, it’s difficult to argue against Belle Meade being the most spectacular and renowned for vintage architectural beauty. 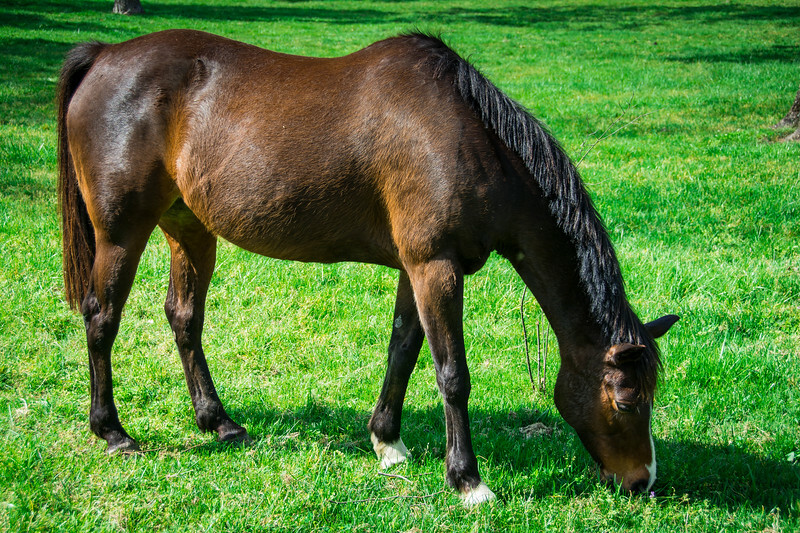 Owned by five generations of the Harding-Jackson family throughout the 19th century, the breathtaking Belle Meade Plantation was once renowned as being the nations leading thoroughbred breeding grounds. Various Triple Crown race winners can be traced back to Belle Meade, so spending some time here is a memorable experience. Today, visitors can enjoy guided tours of the Plantation but in addition to the rich heritage here, this is also home to a winery which offers an eclectic blend of some of the finest wines in the region. 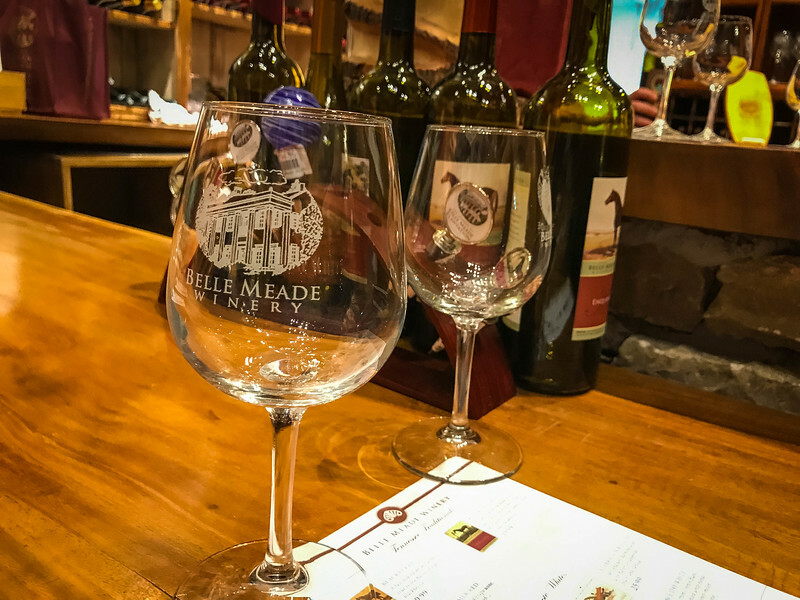 Although this relatively quiet neighborhood feels so unique in comparison to the trendier, urbanized neighborhoods mentioned throughout this post, the beauty of exploring (or even living if you are incredibly fortunate) Belle Meade is that you are just minutes from downtown Nashville! Just to reiterate, if you have any desires to relocate to this part of Nashville…well folks, homes here are some of the most expensive in the state. 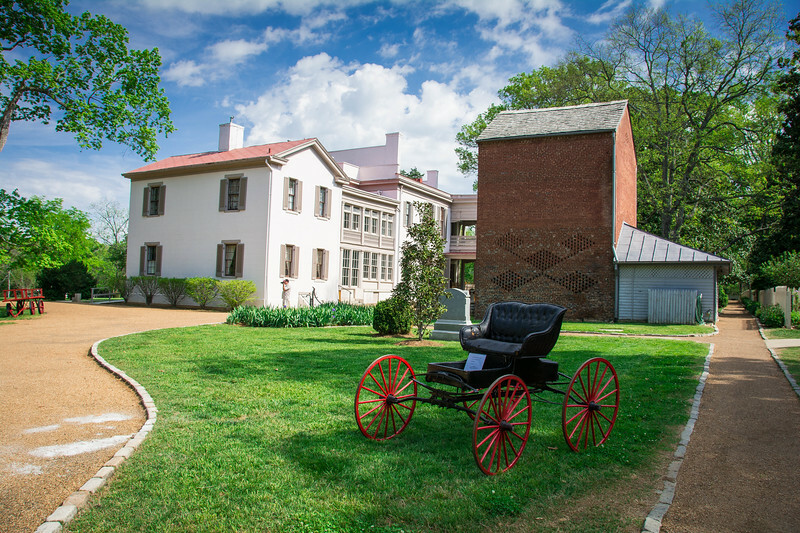 One of Nashville’s historic neighborhoods is Germantown, unsurprisingly referred to as such because of the large number of German immigrants that first resided here in the mid-nineteenth century. 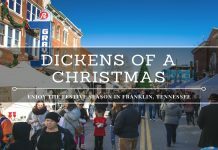 Another cool area for awesome street art displays but it’s the historic architecture, epitomized by a large concentration of Victorian building styles that makes Germantown such a popular neighborhood worth exploring. Visitors to Germantown will likely want to sample the fine cuisine available here. 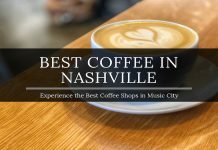 Nashville is renowned for having delicious dining options and Germantown is certainly one of the best spots to find an eclectic blend of choices. 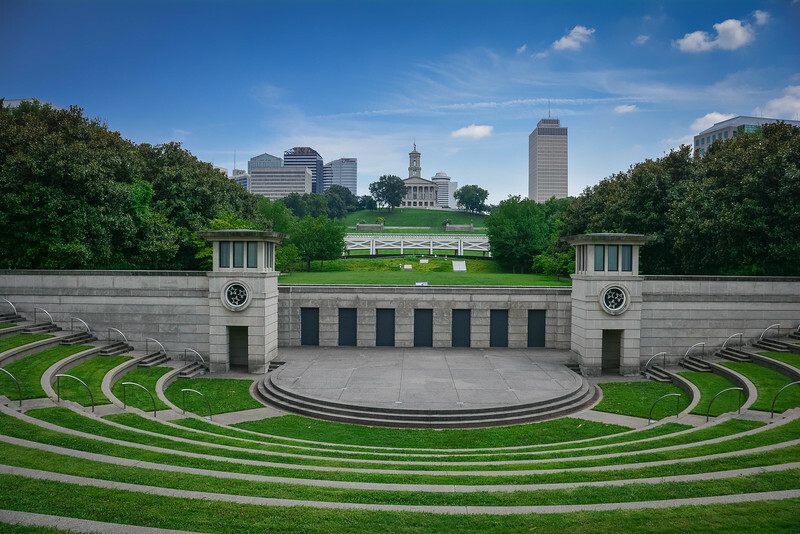 Bicentennial Capitol Mall State Park is considered to be part of the Germantown neighborhood and whether you are inspired to visit the weekly Farmer’s Market or simply prefer to learn all about the history of Tennessee, this is definitely one of the best attractions not only in this area but throughout the city of Nashville. 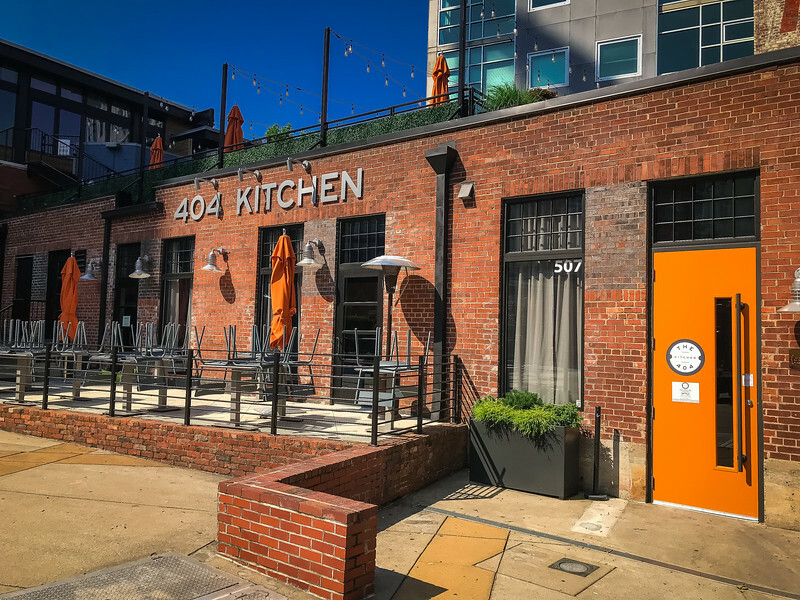 Although Broadway is perhaps the “iconic” stretch in Nashville, visitors should take some time to head to SoBro (South Broadway) to experience some of the city’s most infamous attractions. 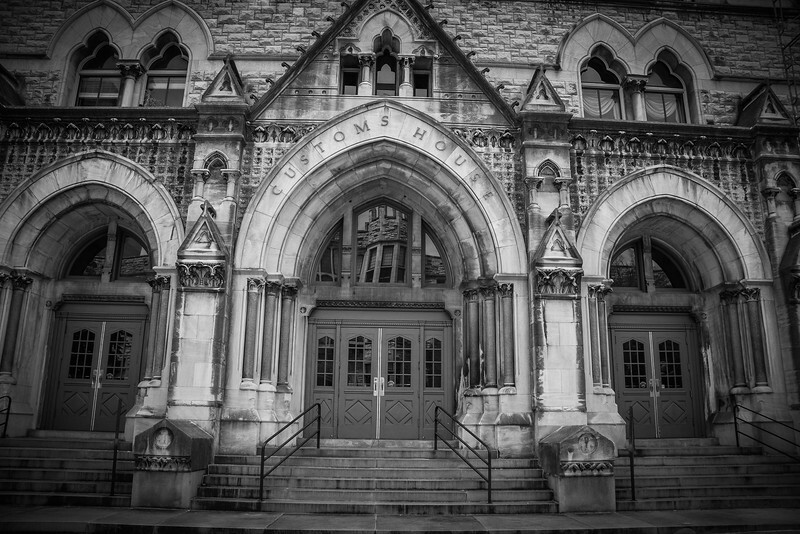 The Country Music Hall of Fame Museum can be found here and is definitely worthwhile experiencing, even if you have no interest in the country music genre. 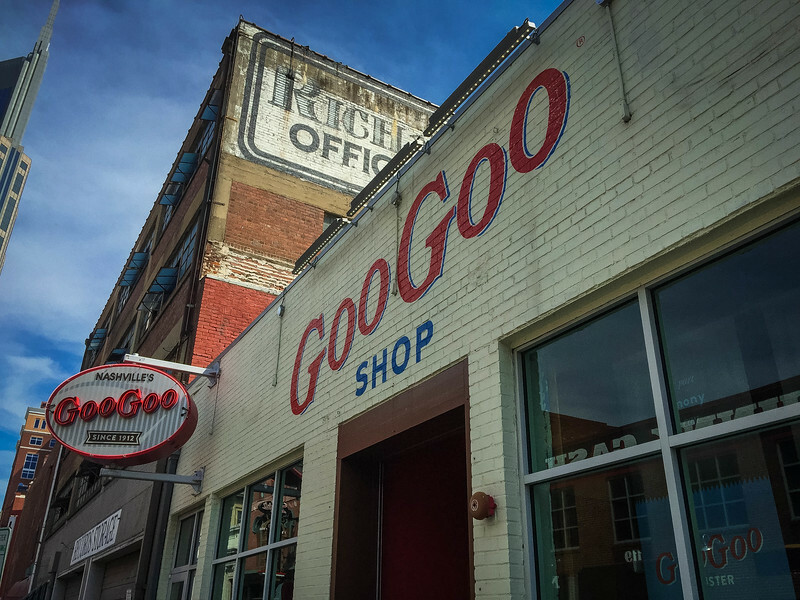 The Johnny Cash Museum can also be found in SoBro while perhaps the most famous chocolate shop is located inside this neighborhood, the Goo Goo Shop & Dessert Bar. Don’t visit Nashville without sampling the amazing Goo Goo Cluster! 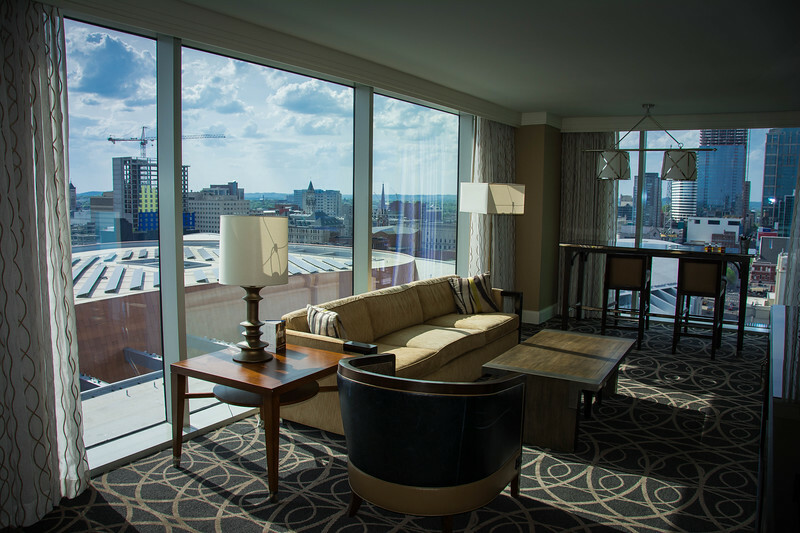 Visitors to Nashville will quickly find out that SoBro is a popular spot for some of the best hotels in the area. We have been fortunate enough to spend a couple of nights at the incredible Omni Nashville Hotel and can highly recommend this to anyone looking for a luxury hotel experience while in Nashville. Nashville’s diverse blend of neighborhoods offers a unique perspective on this vibrant city through a variety of awesome attractions, delicious places to eat and much more. 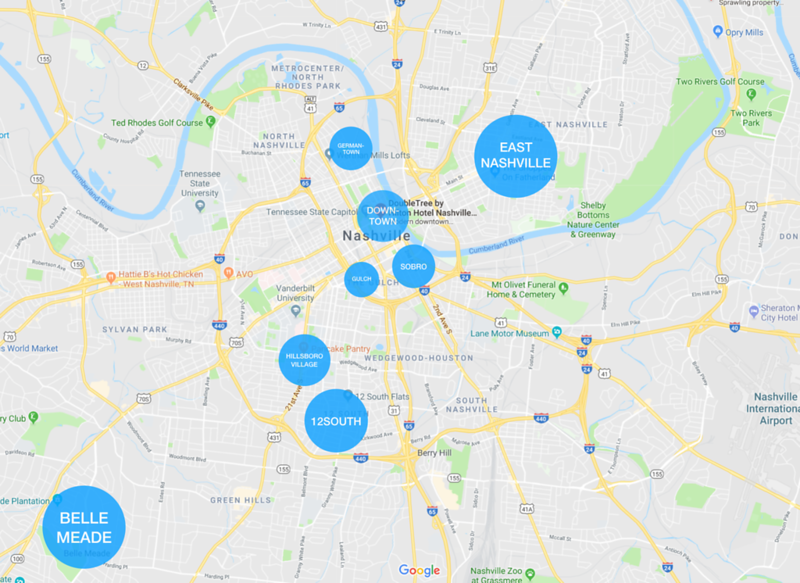 If you are planning a visit to Nashville in the near future, we hope you will consider visiting one or more of these neighborhoods to gain a much greater appreciation of why Music City is should an amazing metropolis to explore. Eight very different neighborhoods throughout Nashville have helped transform this city through urban regeneration and a myriad of delicious local cuisine options. It’s difficult to pinpoint one particular neighborhood that stands above all the others and we recommend experiencing all of them to really understand how Nashville is developing. 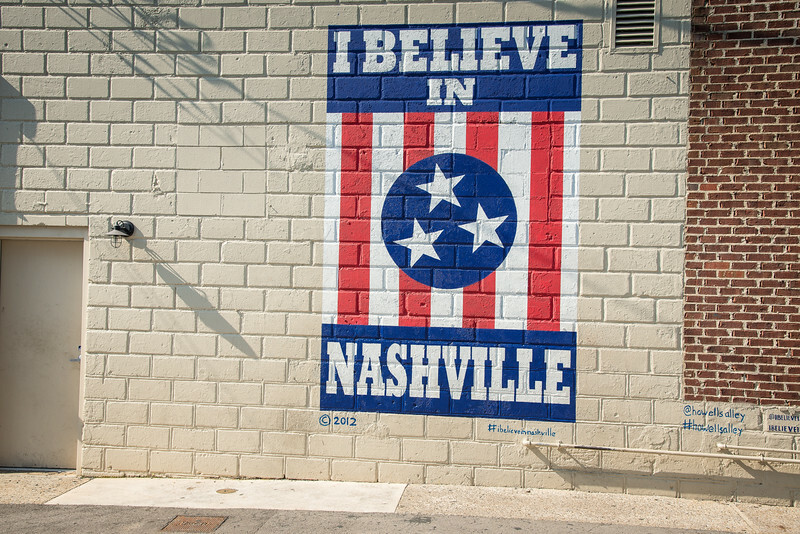 Have you visited Nashville and if so, which of these neighborhoods are your favorite? We took our RV out as far as Memphis earlier this year, but haven’t made it to Nashville yet (except for one flight layover many years ago). Thanks for sharing this – as we definitely want to make it to Nashville in the next couple of years. I love how you have the article arranged by neighborhood. I’m saving this for whenever we head that way, and I’ll be sure to share on Twitter, Pinterest and G+ too! The more I read about Nashville, the more I feel like this is the place for me. And your article is no exception. I love your photos and the versatile feel of Nashville! Nashville is at the top of my cities list and I never miss an opportunity to visit. I love it – and all it’s neighborhoods! Never been to Nashville but I would love to visit! The Pancake Pantry is calling my name for sure! Great Destination in Modern time if you want to stay with luxurious items and crowd hustle and bustle but wonderful place. I never visited here but know more and more about this place. It is looking fine place but your writing skill and blog’s information is very informative..thanks for writing!